Yes, the promotion for "Anchorman 2" has been out of control. However, this video does not feature Ron Burgundy. 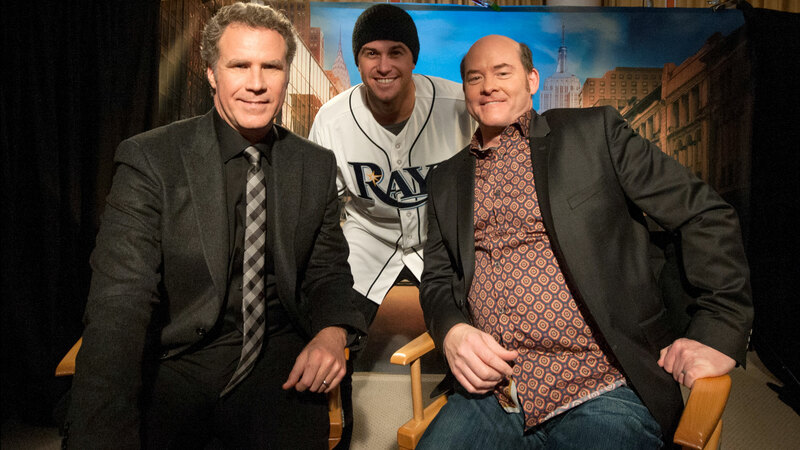 The cast of the movie, including Will Ferrell, David Koechner, Christina Applegate, Paul Rudd, Steve Carrell and Megan Good, was recently interviewed by Tampa Rays third baseman Evan Longoria at the MLB FanCave in New York City. Longoria quizzed the actors on various baseball terms, such as "grand salami," "five-tool player" and "chin music." The results were amusing.